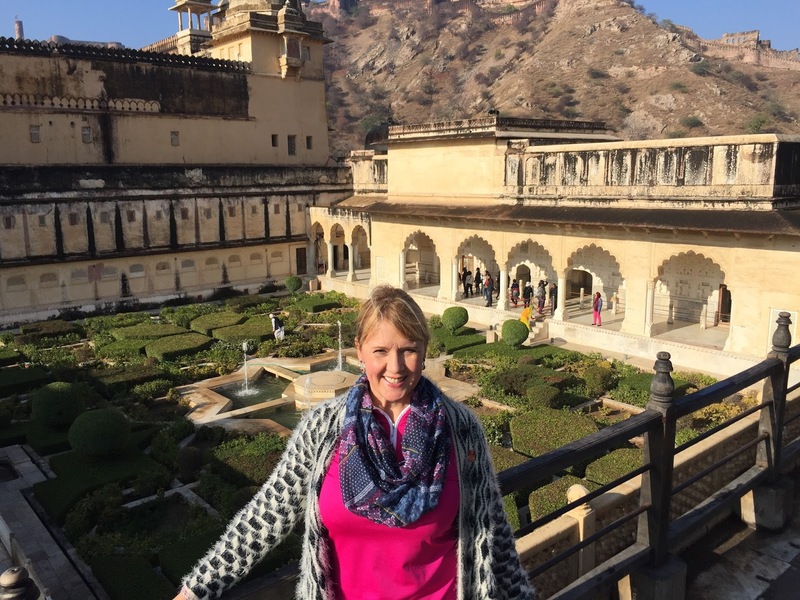 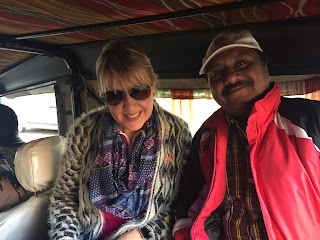 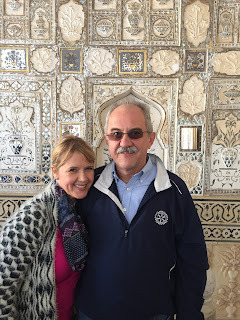 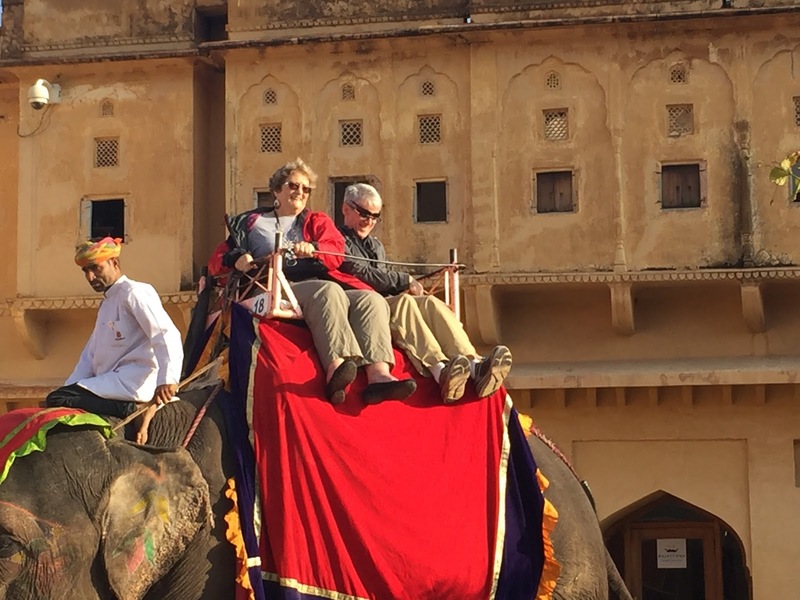 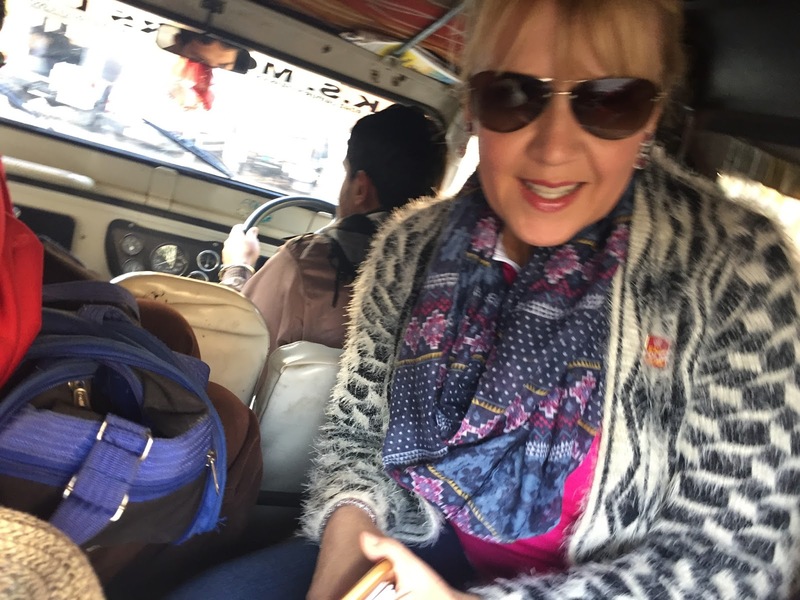 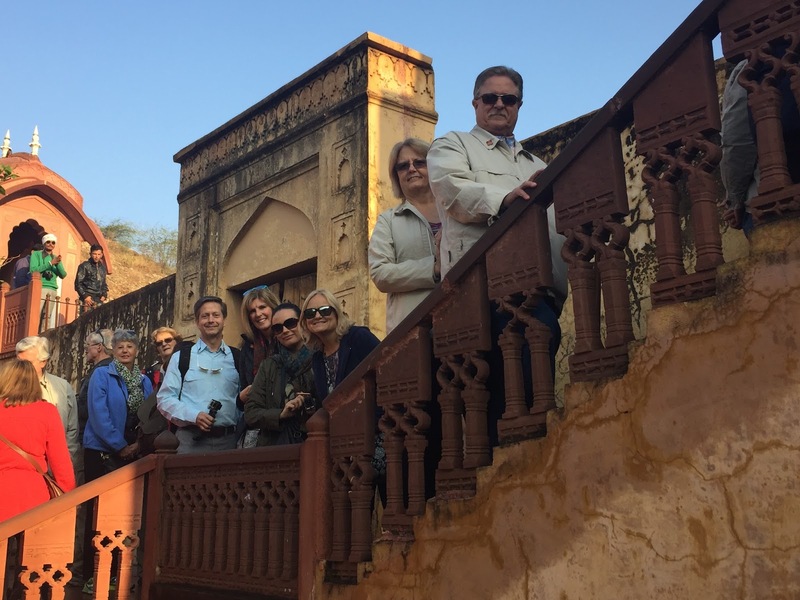 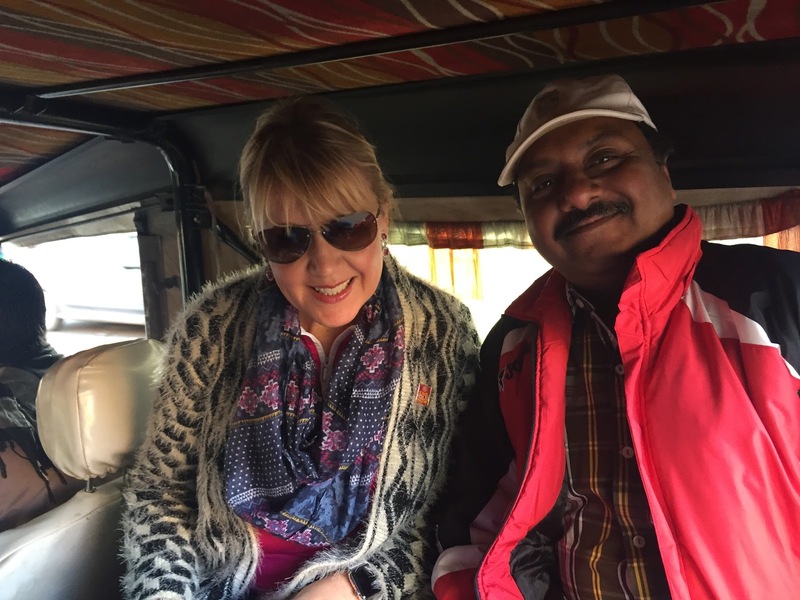 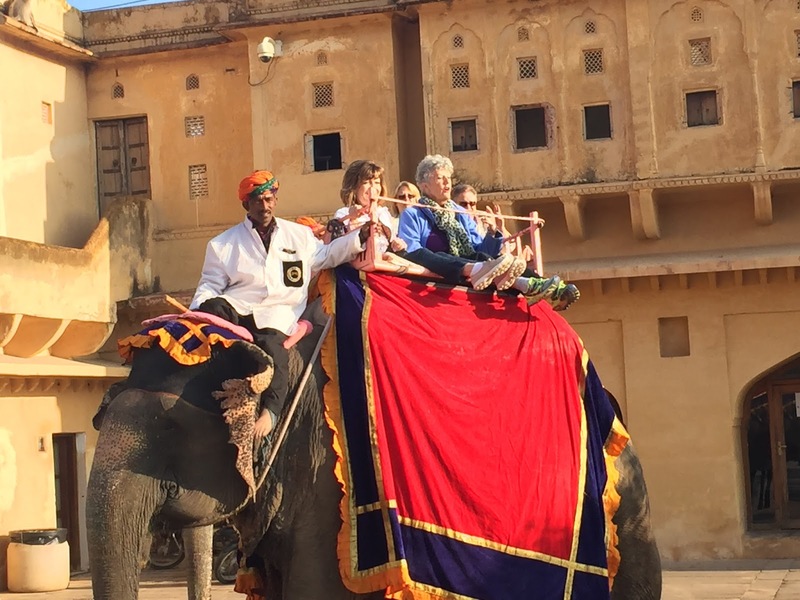 This blog chronicles the journey of 40 Rotarians from the United States, traveling to India for Polio National Immunization Day, multiple Rotary Foundation project implementations, and a Rotary Friendship Exchange in Chandigarh and Dhanbad. 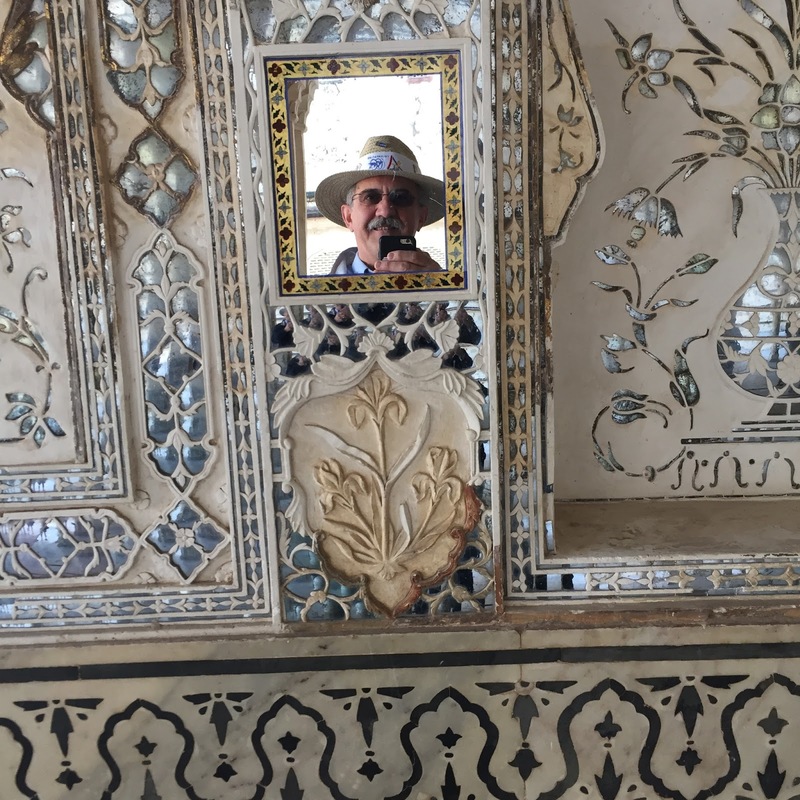 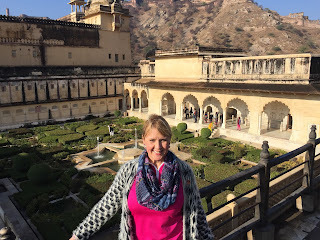 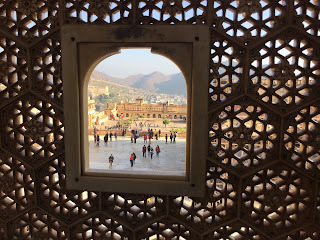 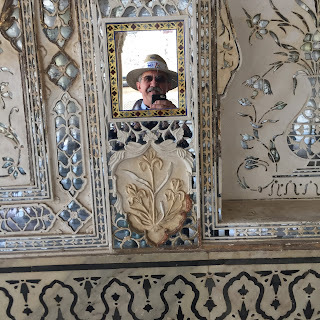 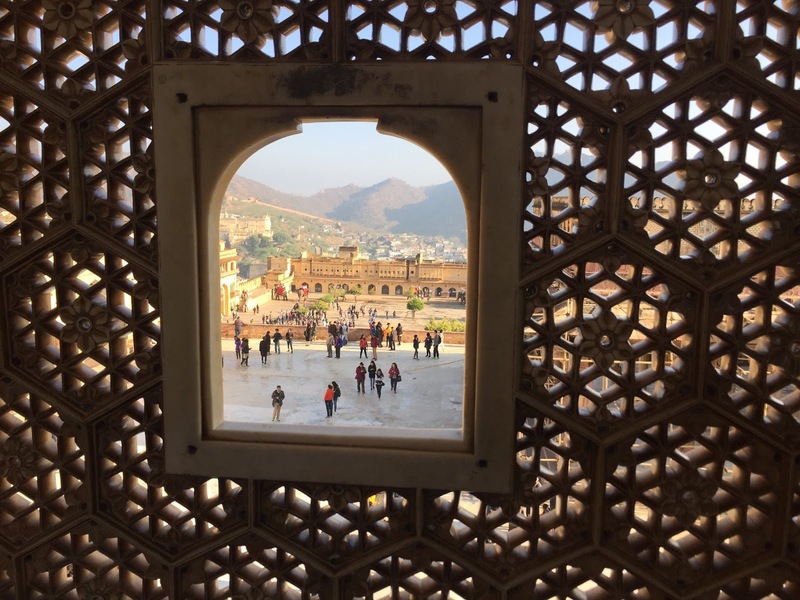 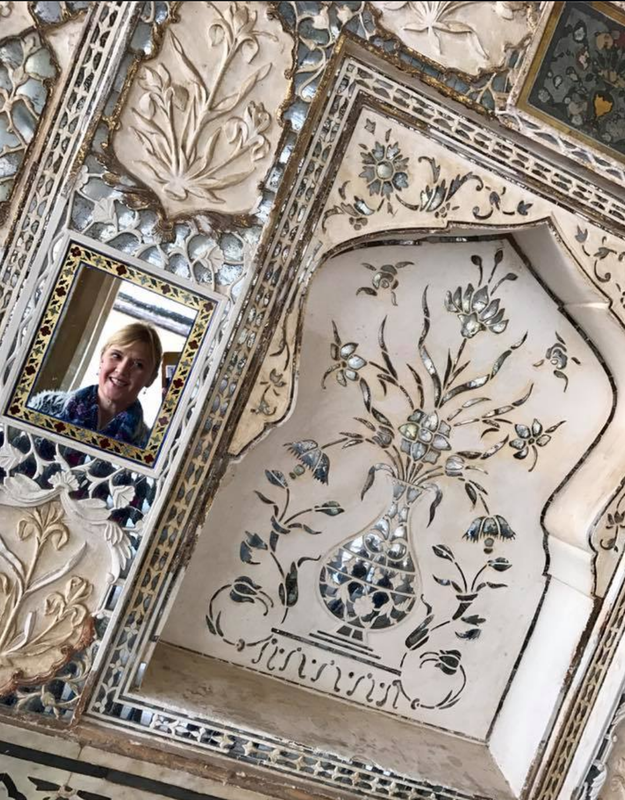 The team was fortunate to visit the Amer Palace, also known as the 'Amber Palace' and/or the 'Palace of Mirrors.' 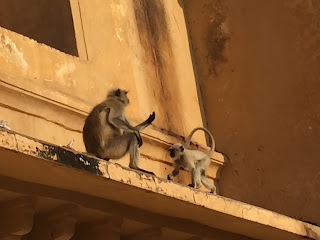 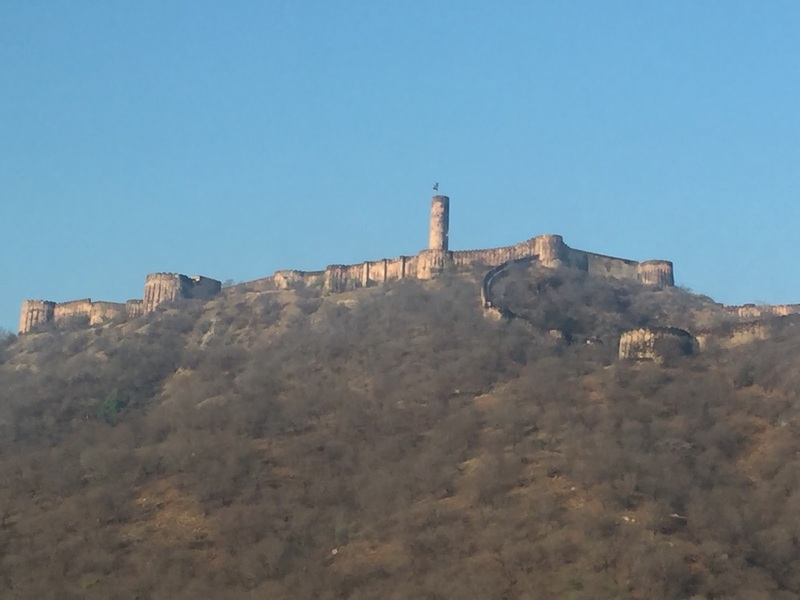 It's located high upon a hill in old Jaipur. 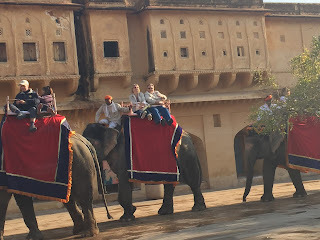 Access is along a circuitous paved road up the hill, mostly upon elephants. They have roughly 120 female Asian elephants. 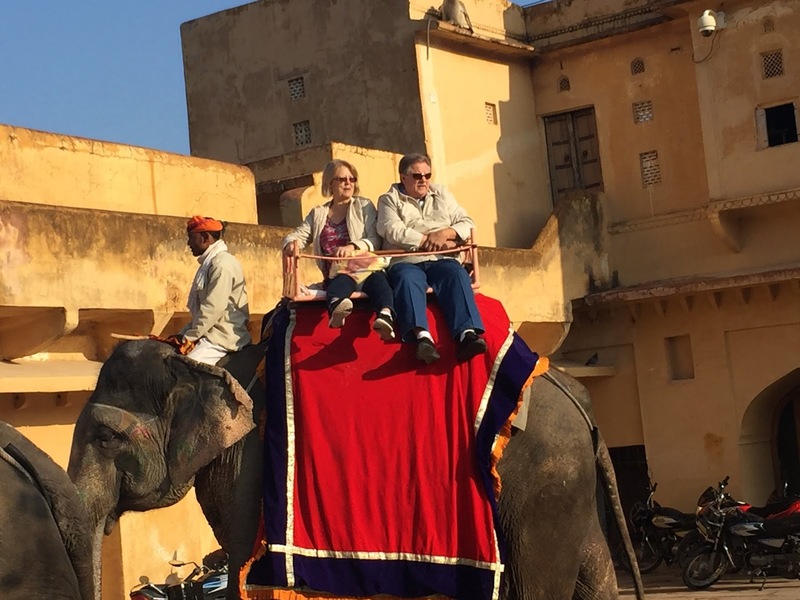 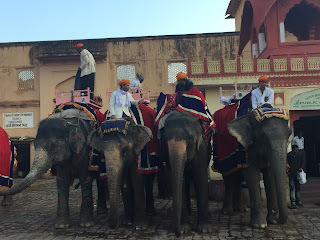 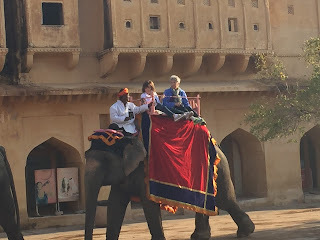 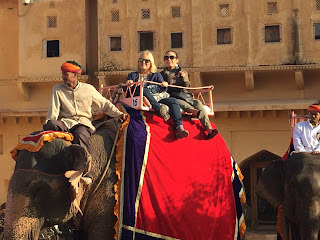 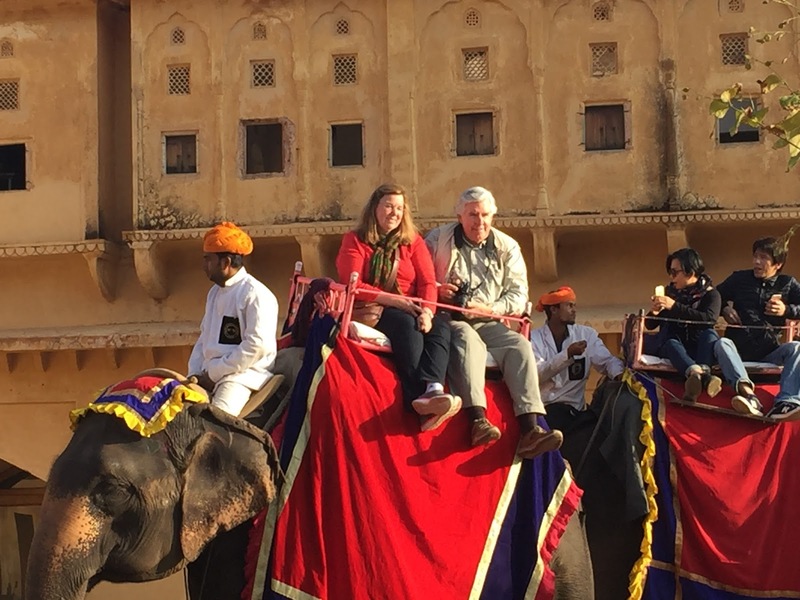 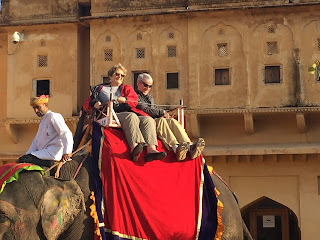 Although Kim and I opted to ride up in the 'jeep', most of the group rode the elephants. 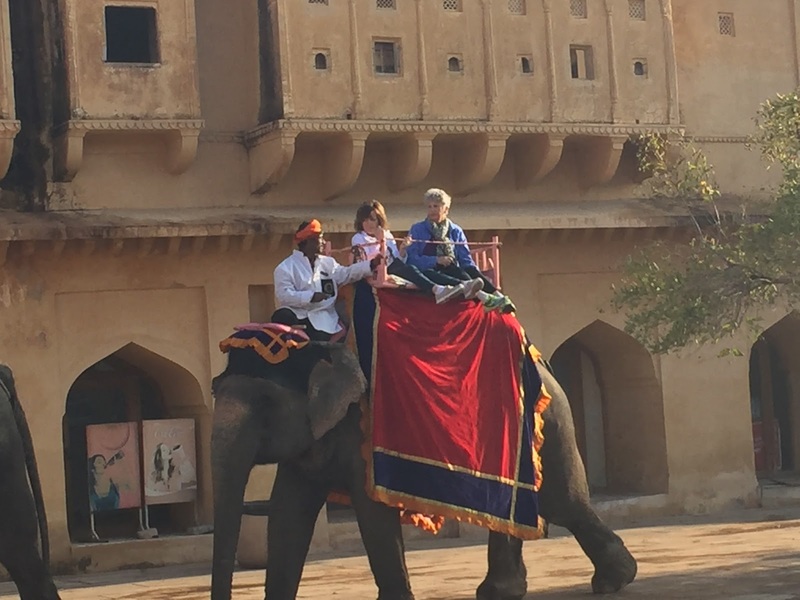 Conditions for the animals have much improved in recent years. 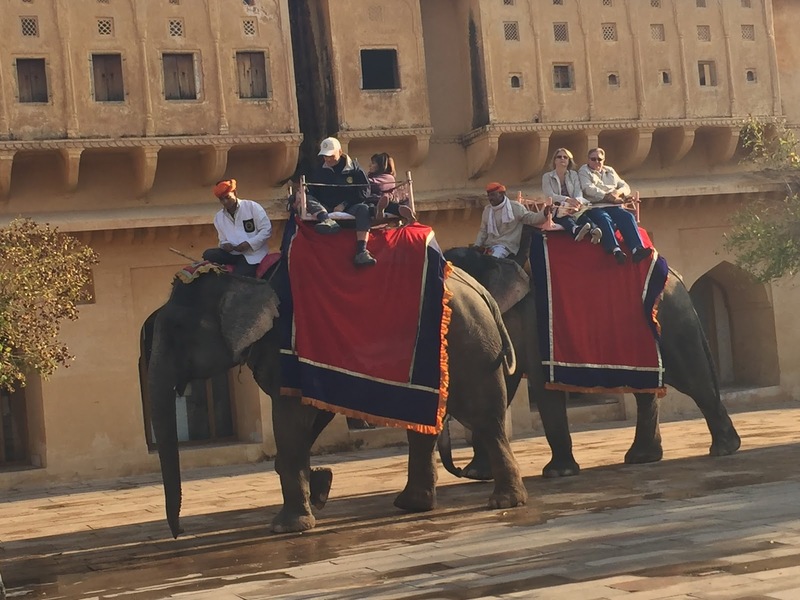 Each elephant is only allowed to do five trips per day. 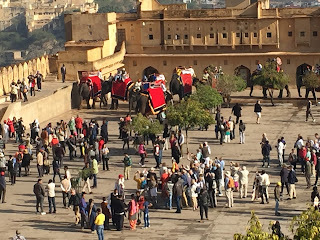 Then they are sent home to rest. 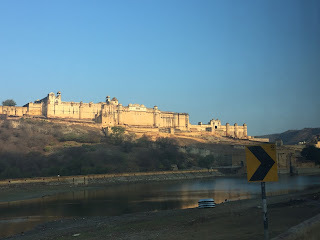 Amer Palace and Fort from across the lake. 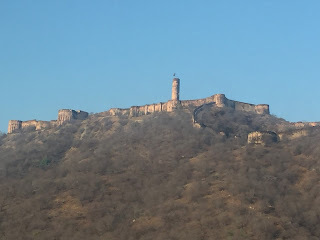 The "fort" sits higher atop the hill, and a couple of centuries earlier in construction. 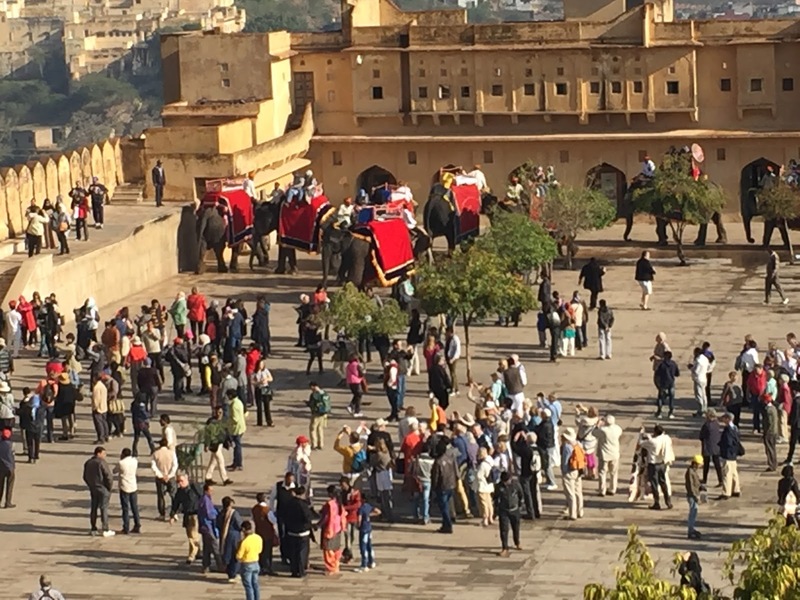 Common access to the palace is via elephant. 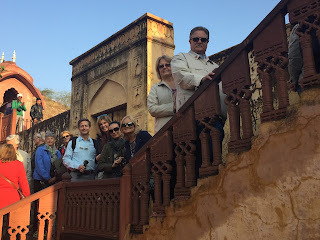 Our 'gang', in line at the elephant boarding platform. Kim and I opted for the 'jeep' ride up, having ridden on elephants before. The elephants are treated more humanely now. Regular watering, and only 5 trips per day per elephant, to the temple and back. 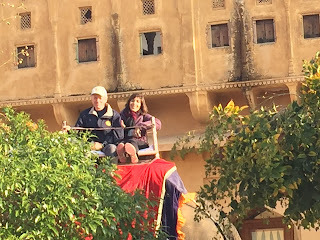 Bruce and Pam arriving at the Palace. Sandra & Wayne, Pam & Bruce. 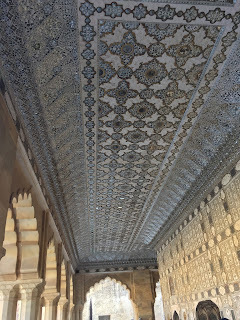 Completed in 1589, the palace took 20 years to construct, and involved over 2,000 workers. 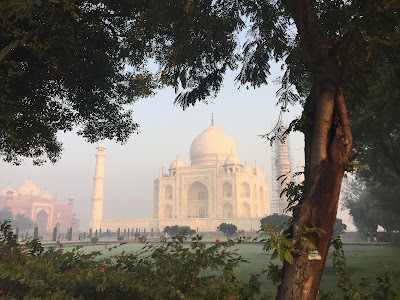 It was subsequently painted pink for a king's visit, and has remained to this day a pink palace. 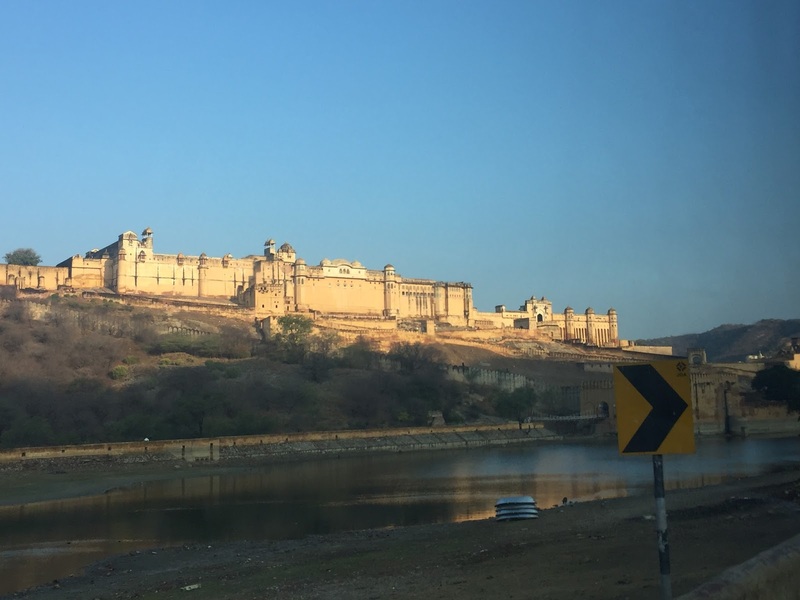 The surrounding fort wall was constructed in the 14th century, and has a circumference of roughly 10 miles, weighing in at the third longest in the world. 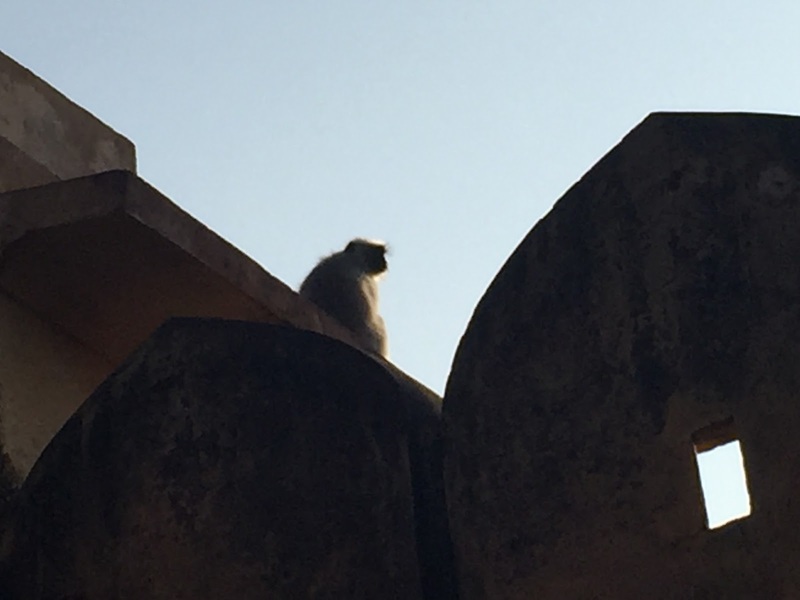 Having personally seen the Great Wall of China, I can attest that this wall is as equally impressive! 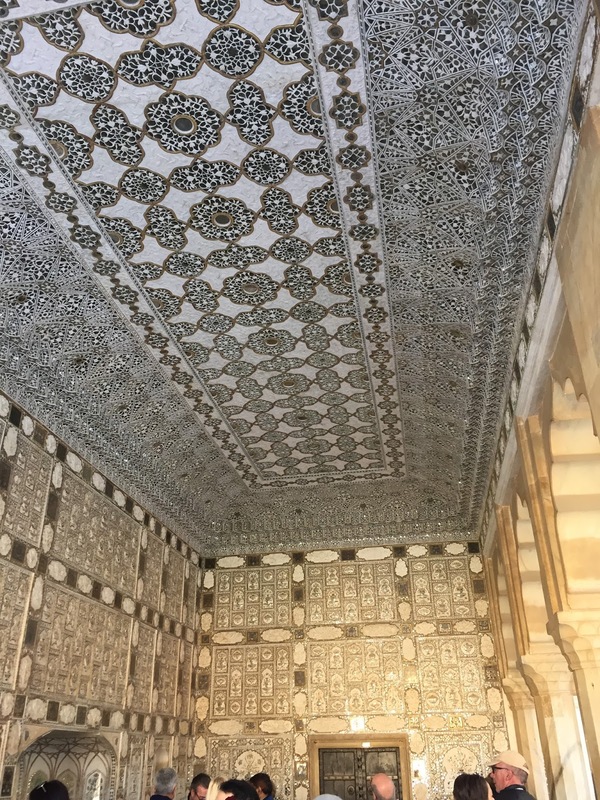 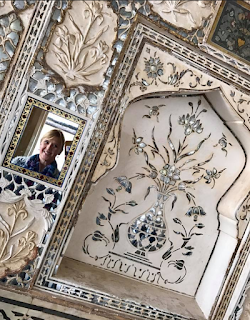 The mirror palace, which was once decorated with many precious stones on the walls and still has a hand painted ceiling with gold leaf where the king met dignitaries. From this court, he would hear grievances, along with strategizing with his highest ranking officials. 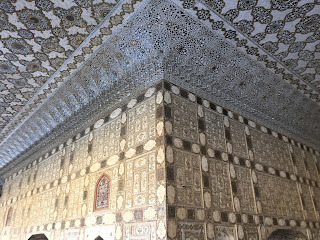 Many of the walls are painted with a coating of white ground glass. 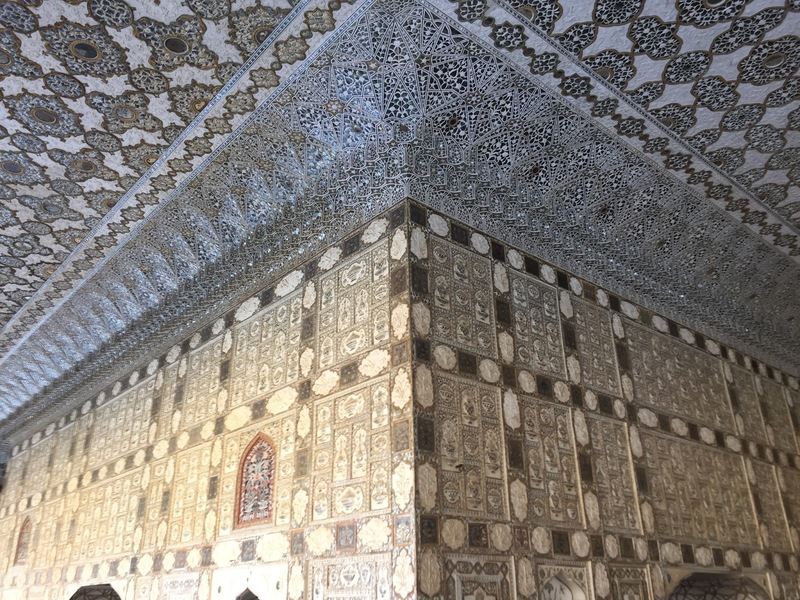 The royal family donated the palace to the government in 1960, and the precious stones which adorned the walls and ceilings of the winter portion of the palace were removed by the family. 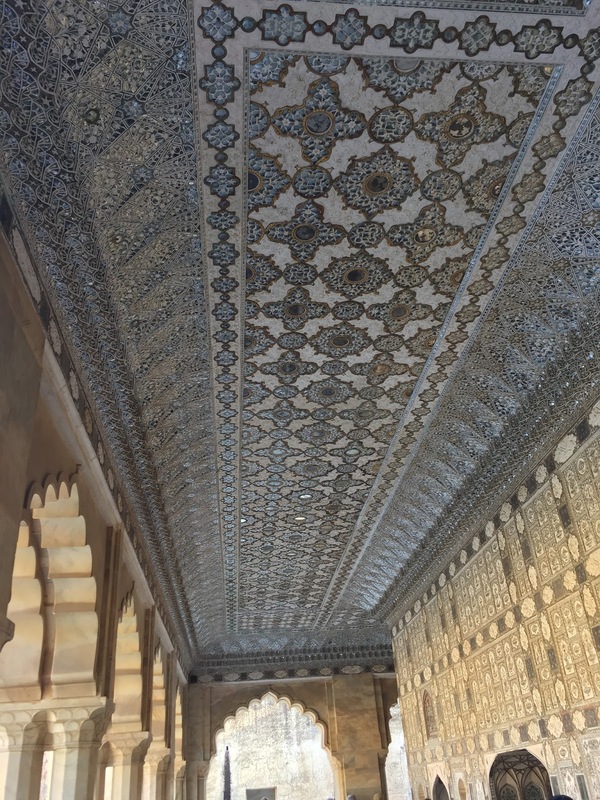 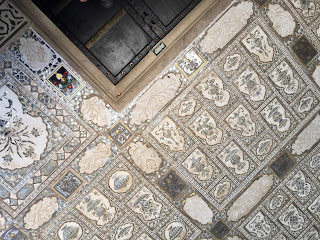 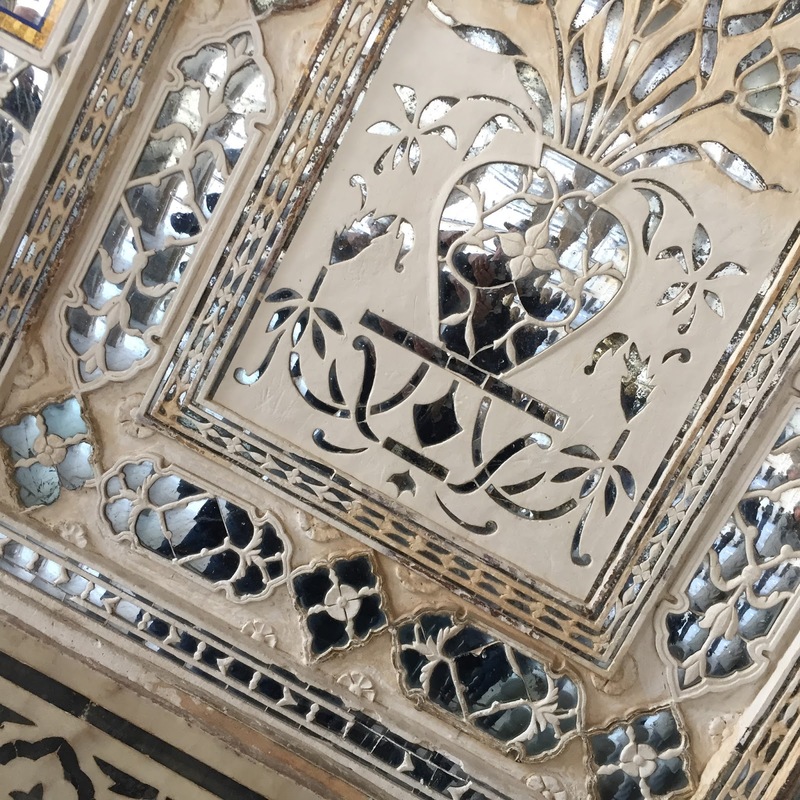 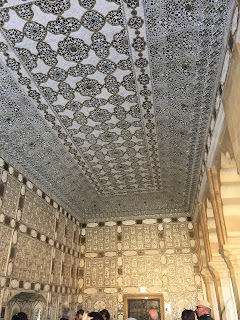 Literally millions of mirrors, however, remain and adorn the palace walls and ceilings. 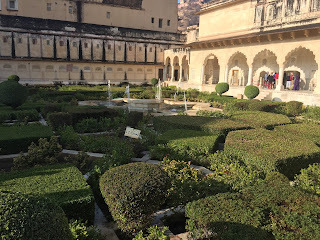 Very modern for the time, the palace had running potable water, and a sort of air conditioning system for the 'summer' portion of the palace, basically air vents forcing air over the cold water flow from the wells! 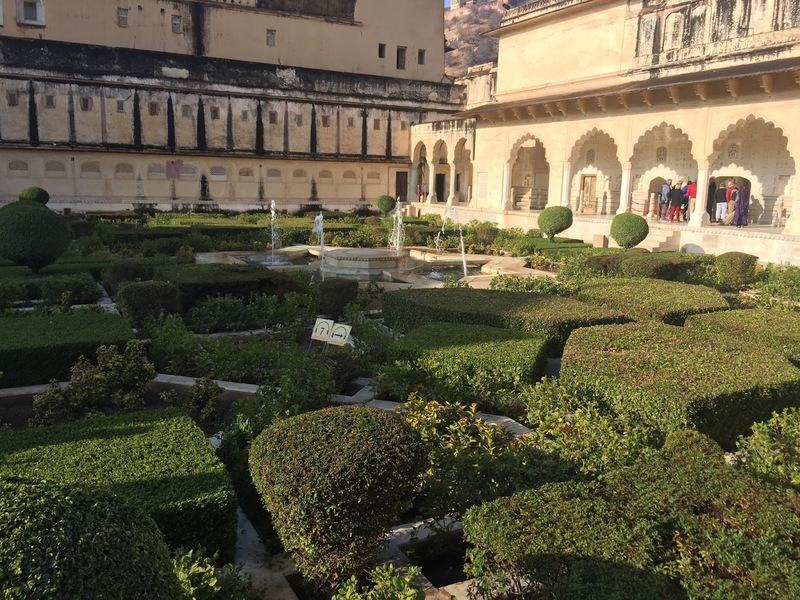 The intricate center gardens contained many exotic plants for the period, and the palace's sewage system served to act as fertilizer for the gardens. 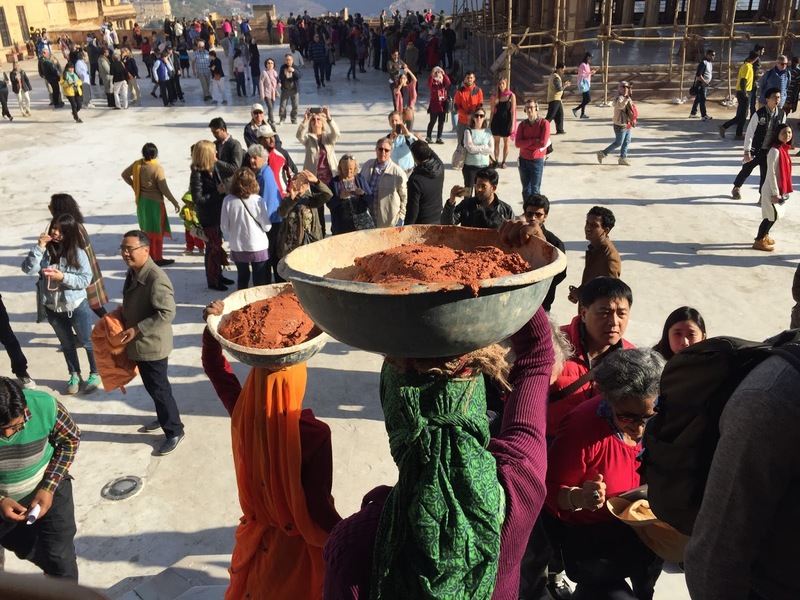 Traditions carry strongly for hundreds of years. 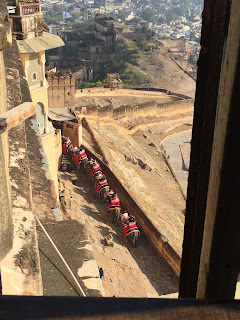 Superb post, we enjoyed each and everything as per written in your post. 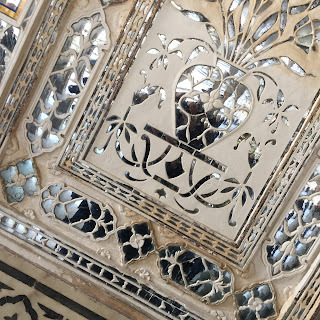 Thank you for this article because it’s really informative, I Really like this site. 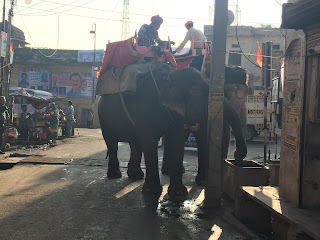 The Day After - Mop Up!